Treat yourself to huge savings with Qwik Park Coupons: 13 deals for April 2019. Get the best Qwik Park coupons ! Going abroad and needing a safe and convenient parking space for your car while you’re away?Let the Q take care of you!Qwik Park is located just seconds away from Detroit Metro Airport which is very convenient for travelers abroad who are in and out of Detroit Metro Airport. Qwik Park service has been made more convenient thru Qwik Park online website which caters online parking space reservations for a discounted amount of $10 per day. In a rush and no time to go online? No problem! Qwik Park’s drive-thru rate is just $11 per day anyway! At a cheap price, you can now park your car in a safe and reliable place with 24-hour security while you’re away for business or vacation.Qwik Park’s great service doesn’t end there. There’s more!Qwik Park’s offers FREE shuttle services to and from the airport after you have dropped off your car for parking and after you have landed back. Aside from keeping your car safe and secured, Qwik Park also takes care of your car’s dead batteries and flat tires.Qwik Park also consistently gives out coupons for daily rates and offers corporate rate programs for your company! All you have to do is to grab these awesome and convenient opportunities! 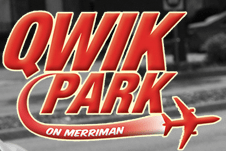 Qwik Park is an excellent parking service for anyone traveling from Detroit Airport. It is close to the airport and makes it super easy for you to park your cars safely. Your luggage and you are taken to the airport in clean Qwik Park buses. They offer many amenities to their clients like valet parking, car maintenance in case of dead batteries or flat tires and secure parking area for you. How to use a Qwik Park Special Offer? 1. FREE Airport shuttle that transports you to and from the airport and the parking place. 2. Make yourself an Online booking for parking your vehicle with Detroit's Qwik Park, and you can save a dollar bill. Online parking booking is for 10$, and if you plan to drop by for an on-spot place, then 11$ is the rate at that moment. 3. Gain parking points for using their parking services. These points let you earn a free parking space as well as special offers and discounts. 4. 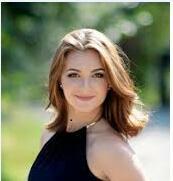 Free Signup to avail exciting new offers, promotions, deals and coupons via email. How to save more at Qwik Park? You can search super offers, discounts, deals, promotions and coupons only on hotdeals.com. Visit it today and check the offers and coupons they are offering now. Head on over to the qwikpark.com website. Book your place and Look for a tab that says "Coupons" in the main menu on top. You will find it at the top right end of the menu bar. Click on the "Coupons" tab. You will find a Coupon on that page. Printed in black and white. Apply that Coupon when you come to drop off your vehicle with us and avail a discounted parking rate. Q:Are there any charges to enroll for parking points? A:No. there are no charges for becoming a part of their parking point program. You merely have to register on the website. Q:Can I make an online reservation for parking at Qwik Park? A:Yes. You can reserve a parking spot online through their website. You will get a discount on online booking. Concerned for your vehicle's parking? is'nt it a mandate that your vehicle is safe while you are not around? Qwik Park is the solution for all the parking related concerns. Check the tips given below for better deals! Sign up deals: Signing up at Qwik Park provides insights about the offers and promotional codes. Further, one could earn points which are reimbursable. Airport Parking Deals: On booking a DTW airport parking, the user can get low parking rates starting as low as $10 and further, the website offers free pick up for the person from the area where the car is parked. Drive up deals: Qwik Park offers to drive up deals at $11 and the offer is limited to 15th June 2019 and customers need to hurry to avail the same. Save More at Qwik Park? How to use a Qwik Park Coupon Code? Get the top coupons from Qwik Park !